Coming from an absolute city girl who has been in Kuala Lumpur all her life, going to Sarawak was exciting and it was surprisingly culture shocking! 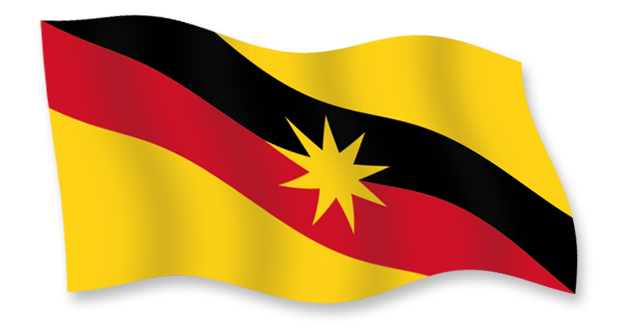 First up, let me be clear with the fact that Sarawak Melaya is weird at a CERTAIN degree. I made a couple of friends in Sarawak when I was there for the National Service program back in 2014. They taught me many a few words in Sarawak Melayu and I must say, I was a fast learner. Heh. ANYWAY, two words they taught me that I personally taught was weird because it literally just terbalikkan two syllables in a word. Confident is “condifen” and sebiji (like sebiji bola) is “sejibik”! But is it true? IDK CAN SOMEBODY TELL ME???? Okay don’t get me wrong here. I am not saying that Sarawak Melayu is weird AF and how alien they are to us. NO. I’m also NOT saying that they DON’T speak normal Malay, they do. They can speak normal Malay, you won’t get lost there and you won’t feel like an outsider or whatever, okay? Chill. It is just like a dialect spoken in Terengganu or Langkawi (Kedah), it is the same with Sarawak. Thought you guys would find this fun and educational.